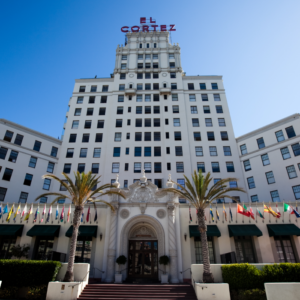 Built in 1927, El Cortez is Downtown San Diego’s oldest building. While preserving the beauty of its Spanish Renaissance Revival Architecture, El Cortez was converted to condos in 2004. Located in the heart of Cortez Hill, on the corner of Ash Street and Seventh Avenue, El Cortez is within walking distance to San Diego’s Historic Gaslamp District. Located on the ground floor of El Cortez, you will find Sole Luna Cafe. El Cortez offers the chance to own a piece of San Diego’s History.